The fur (pelage) is mostly grizzled, pepper and salt gray. The lower sides, sides of the neck, legs, feet, and back of ears are rusty-yellow. It does not have black “socks”. The tail has a black median stripe and a black tip. Red fox (Vulpes vulpes) pellage is yellowish-red. The tail does not have a black median stripe. The tip of the tail is white. The feet have black “socks”. Sources: 15, 29, 30, 76. The coat of a mammal, consisting of fur, wool, or hair, and including a soft undercoat and stiff guard hairs. 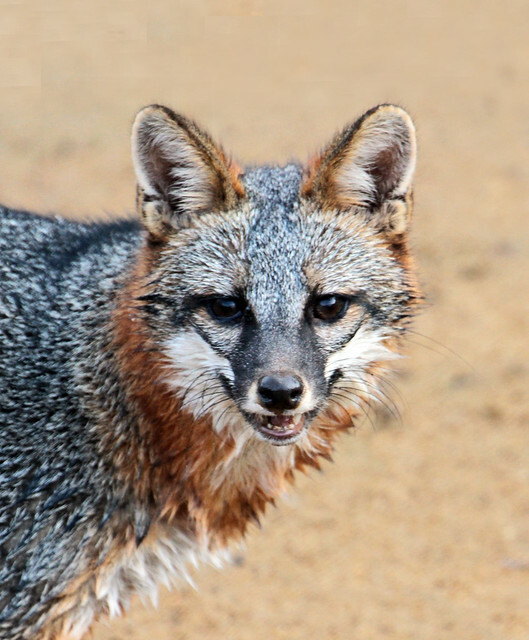 Two gray foxes will join the Museum’s menagerie of live native Ohio animals in the all-new "Ralph Perkins II Wildlife Center & Woods Garden — Presented by KeyBank," opening Labor Day weekend 2016. 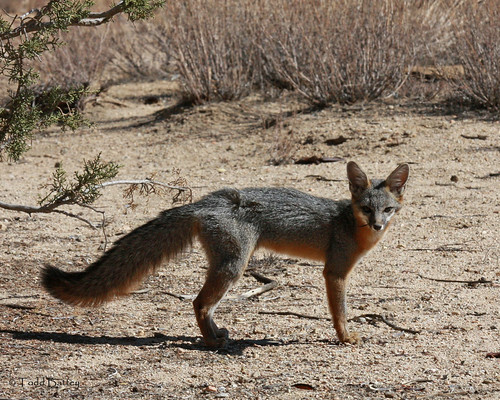 Gray foxes are one of the only canines that can climb trees—a fact that inspired the young foxes’ names. Buckeye and Ash were born in captivity and hand-raised in Minnesota. The pair have been bonding with their caregivers and getting familiar with their new home since July. The gray fox (Urocyon cinereoargenteus) is a carnivoran mammal of the family Canidae ranging throughout most of the southern half of North America from southern Canada to the northern part of South America (Venezuela and Colombia). A gray fox (Urocyon cinereoargenteus) climbing a tree at night. 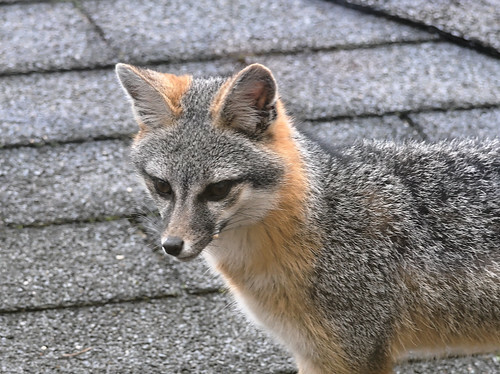 Gray foxes are one of only two canids (dog family) with the ability to climb trees. Tony Charness with MRCA released a healthy gray fox (Urocyon cinereoargenteus) into the wild on Earth Day 2014. The fox had been found 19 days earlier in Wilson Canyon suffering from hypoxia.Thank you to the California Wildlife Center for rehabilitation of the fox. If you find wildlife in need of help, please call the center at (818) 222-2658.